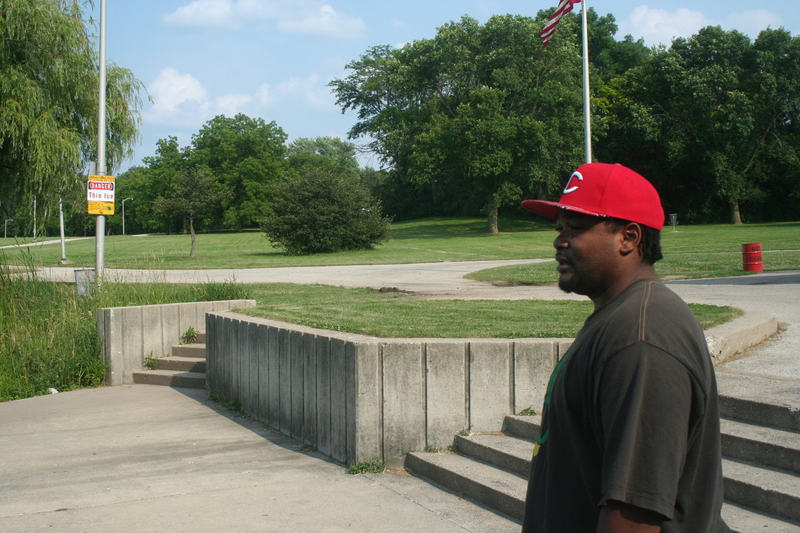 Terrence Hinton walks along the edge of a pond in Dineen Park, his family relaxing on the opposite bank. Hinton, who has three children himself, says he hasn’t had a full-time job in “quite some time.” To make ends meet, he works temporary jobs, taking whatever he can get whenever he can get it. Did you find value in Terrence’s story? If so, please subscribe to our newsletter; we publish the story of a different Milwaukeean every week.